Reviews of websites, business, apps, services and products. 400 words or 800 words, including logos and images used with permission, occasional video links and hyperlinks to the websites being reviewed. CROV.com may not be a name many small and medium retailers will have heard of, even though they supply some of the biggest names in the retail industry. The company is a one-stop wholesale center designed to help small and medium sized business access the best overseas manufacturers. CROV stands for Customer, Reliability, Opportunity, Value and signifies that the company will ensure their customer is always king; they offer a reliable interface with the manufacturing companies who supply them; the range offers an opportunity for buyers to grow their business; and quality products offer a value-added service. Companies such as CROV.com allow smaller businesses to place orders for the kinds of goods previously only seen in big box stores or branded outlets. The firm was created by Made-in-China.com as a way for smaller businesses to access the same market as their bigger, more established, rivals. Made-in-China.com has over 20 years’ experience in international sales, which means they’ve been supplying a variety of products worldwide since before the Millennium. The firm has an enviable network of OEM manufacturers to call on, with thousands of factories worldwide able to supply goods for sale through their website. For those retailers looking to grow their business, or those looking for fast, reliable, repeat supplies, CROV.com can help. Because CROV.com buy in bulk to supply their customers in turn, prices are low, allowing small and medium businesses with smaller budgets to buy at a saving and decrease their risk in turn. The suppliers which CROV.com buy from also supply some really big US and international names including Walmart, Home Depot, Lowe’s and Macy’s, among others. CROV’s customers have access to the same branded products seen in these big box stores, which means their customers in turn will recognize the names and may be more inclined to buy as a result. CROV.com has a huge range of products, as might be expected for such an established business. Unsurprisingly, perhaps, the most popular categories are Home, Garden & Tools, Automotive and Electronics. Because the items are available in bulk, CROV’s reseller and retail customers can hope for a good profit margin on sales. They also benefit from a variety of delivery options, secure online payment or bank transfer and a robust Buyer Protection Guarantee. The firm keeps a close eye on its supply chain and carries out regular audits to guard against fraud and other issues. If a dispute with a customer does arise, it will be quickly addressed. Shipping will either be direct from the manufacturer or via a US warehouse. Distributors have the best options, although CROV.com also supplies products to businesses for their own use rather than for further sale. So, what about this wide range of products? Well, there’s everything under the sun, honestly. Given that spring and summer are on the way, at present the site is full of outdoor and sports items. Grills, patio furniture, fishing, camping, hiking and diving are all covered by the wide range of products on sale. So any company involved in any of these pastimes, or looking to break into the market there, is likely to find suitable inventory here. Even ebay resellers after a seasonal boost will find small items such as USB powered fans, sports bras and beach towels. The range of sports items runs to nearly 30 pages and includes fishing lures, outboard engine propellers, cycling accessories, gym kit, softballs, footballs, baseball, skiing and skateboard gear. Prices range from a few dollars to several hundred, with some prices available only via login. There are also 10 pages of items for pets, including dog raincoats, life jackets and windbreaker coats, so that keen hikers and campers can make sure their dog is kitted out as safely as they are before hitting the backwoods trails. No matter a wholesaler’s market, CROV.com has items to appeal to all buyers. The company describes themselves as a sports and outdoor retailer, but there is much more than that here. It caters for those looking to sell items on at a profit, such as swapmeet traders, shop owners, and online stores such as ebay and Amazon resellers, by offering a large range of items at low prices. This option may also appeal to charities looking to make the most of their funds, sports and youth clubs, activity centres or schools with a limited budget, where the items are not going to be sold on, but merely be heavily used before being replaced. CROV.com is a one stop shop for inventory. It might even be possible to set up a business from scratch simply by placing a few orders here and selling the items on through online sales sites. Someone looking to start a side hustle, make some extra cash on the side, or provide for their family after losing a regular job or deciding to quit the rat race would be well advised to check out CROV.com. The mix of quality goods at low prices normally only available to big name retailers is too good a choice to pass up. Vegan lifestyles, clean living, organic food production, reducing plastic use and doing as little harm as possible to ourselves, the planet and its ecosystems are all in vogue at the moment. Yet for some, this has been a way of life for decades. For many people with skin allergies or sensitive skin, natural cosmetics and health products are the only ones they can use without causing a flare up. Similar to those with food intolerances, they find that totally natural products heal and soothe them. Lilly Love Soaps (tagline ‘the beauty of getting back to basics’) was born of this very need. The founder started making soap in her kitchen in Alaska to help her son who had sensitive skin and was prone to eczema. There are now ten items in the range, available through Etsy. They are all specifically designed to ease skin conditions such as psoriasis, eczema, dermatitis and acne. All products are handmade, and the range now includes shampoo, lotion and deodorant bars as well as soaps. All the ingredients are specially chosen to soothe, heal and calm itchy, scratchy, painful skin conditions. These soaps and bars can be personalized and make ideal wedding favors or baby shower gifts as well as birthday presents. They are pretty as well as being functional. This is the advantage of buying from a small, independent producer. Customers can benefit from individual service, rather than having to settle for the same as everyone else shopping at a big box store. Also, because the items are made specifically to order, buyers know they are fresh and have not been stuffed full of artificial preservatives. Indeed, the website states ‘The time I need to prepare an order for dispatch varies. For details, please see individual items.’ Delivery time in the US is estimated at between 5 days and a week, and will obviously be longer for overseas orders, which may also attract customs or import taxes, payable by the buyer. 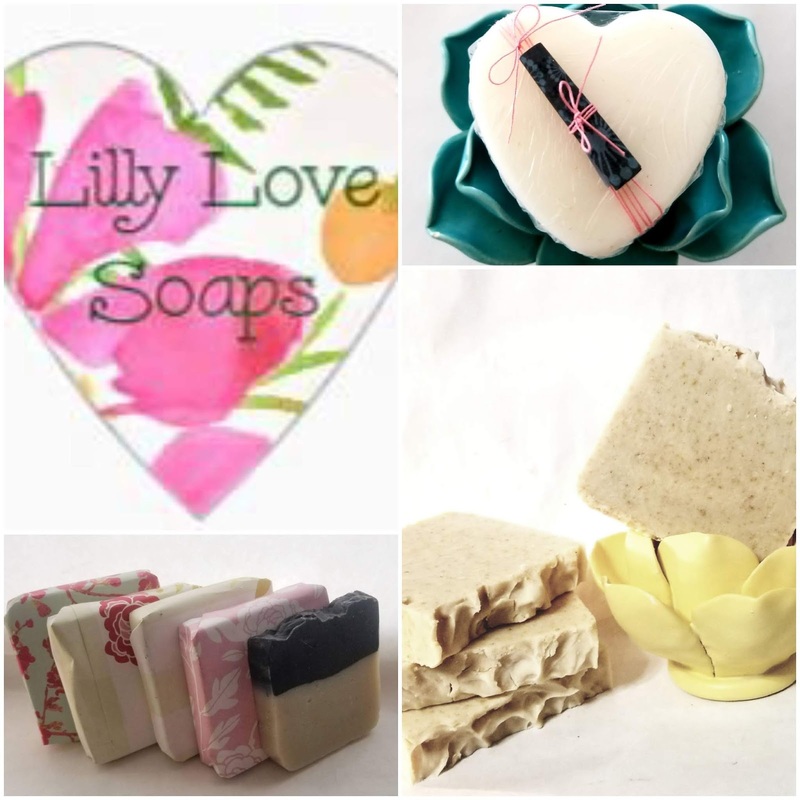 These lovely products from Lilly Love Soaps not only make great gifts, they would also suit travelers who can’t use hotel-provided toiletries, or who are hiking or camping. In places such as Hawaii’s national parks, all trash must be carried out, so bars of toiletries are better than bottles and cans. A small selection of these in a guest bathroom or holiday rental would also add an individual touch. Image provided and used with permission. 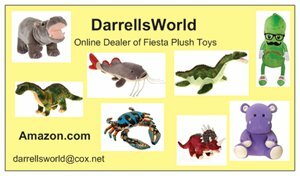 DarrellsWorld mail order company on Amazon.com offers a selection of cool keychains, sweet plush animals, sports-related items and funky pull back vehicles. Whatever the interests of the person you are buying for, DarrellsWorld is bound to have something to suit. Plain heart shaped carabiner keychains start from under $5 and Air Jordan keychains are barely more than that. Even the most expensive sports items are only around $30; these being sports related pillowcases and beach towels. Many items do not ship outside the United States, so this site is squarely aimed at Stateside shoppers rather than international sales. All items ship from Kansas. Plush animals, including Jungle Book, Minecraft and Peppa Pig figures, are available at all price points. Minecraft toys of all types feature in the DarrellsWorld range, but these are not shipped outside of the USA. Fiesta Toys and Squishmallow plushies are also popular, while for those seeking a more unusual plushie, Fiesta’s blue crab, red-tailed catfish or red octopus may fit the bill. DarrellsWorld also sells a full range of Fursians in all colors of the rainbow. NCAA sports fans will find plenty to showcase their team allegiance, including hooded and regular beach towels, neck pillows, travel mugs, lanyards and pillowcases. Utility grip gloves in team colors are available across all price ranges. Keychains in the shape and design of popular Air Jordan shoes are also available across all price ranges, but prices do increase as stock is sold, and stock is limited, so it’s advisable for diehard fans to check back often and buy their merchandise early. The die cast pull back models sell for around $10 at their most expensive, with the F16 Fly Tiger Jets being more expensive than the Volkswagen Beetle cars. Tractors and steam engine models sell for slightly less than $10 each, and like the Beetles, come in a variety of colors. Billiards and pool keychains and Chopper motorbike models are on sale for between $8 and $9. Children’s size comic character throw blankets with sleeves are also popular, especially as winter isn’t yet over in many areas of North America. For a more practical present, DarrellsWorld also stock a range of coin banks in the shape of iconic Disney characters. These items are designed to be fun, unusual and easily available, with shipping every day after payment has cleared. DarrellsWorld offers a wealth of ideas for small, inexpensive gifts for all ages, and with Amazon’s famed speedy delivery, it should be easy to find something to suit, no matter who is buying. If you’re anything like me, you prefer getting decent wear from your clothes. Fast fashion may be a thing for some, but it’s no use if your cheap and cheerful shorts or leggings split under the strain of a strenuous lift or ambitiously stretchy yoga pose in the middle of a heavy session in the gym. Been there, suffered that embarrassment. Fortunately, help is at hand. WildWithin has some seriously cool active and casual wear. Leggings, vests, tanks, dresses, skirts, beanies and t-shirts are emblazoned with eye catching designs while some of the items are made in gym- and earth-friendly Ecopoly stretchy material. The company plants between one and four trees for every item of activewear clothing purchased. Ecopoly is used where possible, as it uses less water and energy to produce than regular polyester. The designs are also inspired by the natural world, with top sellers including moon phase leggings and a full moon wrap skirt. There are also designs featuring leaves, flowers, the ocean, clouds, the sun and galaxies. The colors are by turns gentle and vibrant, rainbow hued and monochrome, but all the designs are striking. Unlike some materials, the leggings are not see through and are therefore equally appropriate for wearing to the gym or for casual trips. They may be comfortable for a flight or car journey, a shopping trip or a night on the town, depending on your preference. And of course, they are perfect for festivals and holidays. Customers can choose where ‘their’ trees are planted if they have any strong feelings on the issue, as WildWithin supports many projects worldwide. Not only are the materials used better for the planet than conventional clothing, the trees planted as a result of a purchase will help offset the CO2 and other harmful emissions produced during the manufacturing process. This helps fight climate change and in some areas can contribute to increasing community sustainability by providing jobs or even food. Customers after a unique design, logo or look have the option of a custom print on any item of clothing, while most of the designs on the site are unique prints in their own right, with only one handmade example available. These items may be more expensive than shoppers would find in a High Street store, but on the other hand they are handmade, eco friendly, and feature eye catching designs which would also not be found in a High Street store. The extra cost is well worth it for the unusual designs alone, never mind the chance to give back to the planet through a purchase. WildWithin is a great option for anyone wanting to stand out from the crowd for any reason. Buying early before the summer kicks in is recommended as not only are these items rare, they also take several weeks to produce and ship. The company have just launched an Ambassador Program and have planted almost 100 trees in the last year, in case anyone was wavering in their decision to purchase. 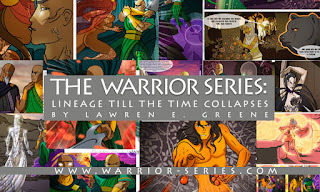 Comic book fans may like to check out the Warrior Series, "Lineage Till The Time Collapses". An online comic series, there is a wide selection of episodes to choose from. It tells the tale of a Warrior and his General, illustrated in detail and with plenty of dialogue to set the scene. Lawren Greene (author) and Claudia Cangini (artwork) have produced a gripping series to keep fans reading. 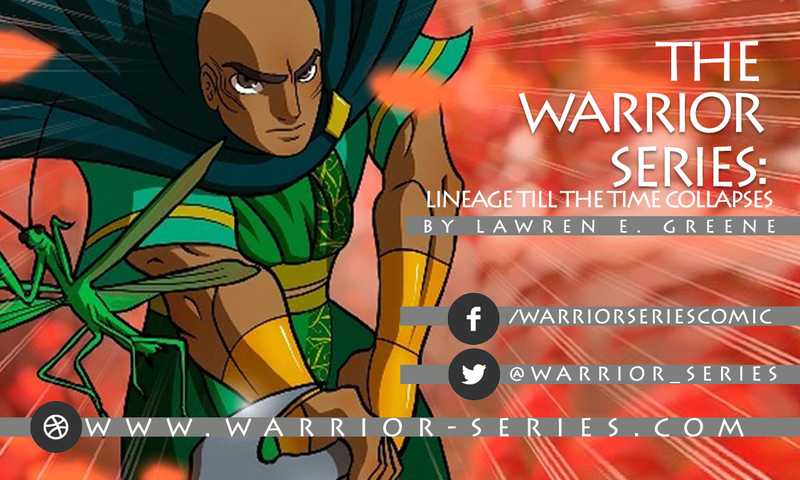 The Warrior Series also has an app, Facebook and Twitter feed for those who like to stay up to date on social media. The most recent episodes are only available on the app, but they are later also made available online through the website. Many of the episodes are divided into two or more parts, and currently there are 24 episodes to enjoy, with the length increasing as the storyline develops. Cliffhangers are common, action and suspense is mandatory. Many of the episodes feature magical superpowers such as a protective purple haze known as Hosanna, space-time travel, the waters of knowledge and supernatural beings. Through Hosanna, the Warrior also gains a sharper sword, but he is still subject to temptation such as Lust. after whom he chases in episode 12. The series pulls on the trope of the seven deadly sins, with episode titles featuring the words lust and gluttony. Characters include Aversion and a band of hollow souls representing those who stray from the path of good; those who overindulge in all that is bad for us. There is the typical fight scene in a cave, with both sides using their various powers to try to overcome the other. The Warrior Series is typically bloodthirsty, as readers might expect with a lead character who carries a sword with superpowers. However, it also offers some time-honored sage advice and is the typical good-vs-evil fight as played out in many Western cartoons, Japanese anime and their comic equivalent, manga. 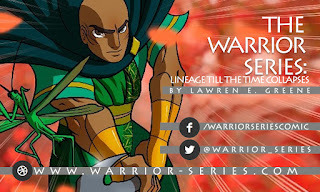 Lawren Greene also offers a selection of merchandise, links to be found on the Warrior Series homepage. As in the Warrior Series, the themes are the traditional ones of morality, spirituality, fundamentalism and individualism. The Warrior Series "Lineage Till The Time Collapses" comic books blend ancient teachings with modern graphics and provide a simple way to enjoy a moral tale, in which the graphics speak just as loudly as the dialogue. The tale has been ongoing for several years and looks to have many more episodes to run yet. There are new episodes uploaded every fortnight at present, and for those who cannot wait for the latest episode, the app is vital to be able to see the newest installment as soon as possible. Image taken from website and used with permission. It’s been awhile since I’ve written about printing companies and their ranges, so I was pleased to be told about squar-pix, Inc. earlier this week. squar-pix, Inc. offer full color, digital, large format banners, table top displays, step and repeat work and more. No matter the size of the company, advertising and branding are key. I well remember my first meeting with a local band, who had a stall at an event where they were selling their merchandise. They were all attired in the band’s ‘brand’; white shirts, ties in shades of brown and dark trousers (that would be ‘pants’ to my US readers). Branding. A three-piece band could make that impression on me. What could effective branding do for a large book publisher, a specialist museum, an organization looking to recruit new staff? squar-pix, Inc. aims to help anyone looking to get their brand noticed. From retractable vinyl banners and large format signs, table top banners and window vinyl to smaller formats such as business cards, postcards and posters, they offer the full range of items to ensure a brand is memorable. A selection of banners can make an effective backdrop for anyone advertising a product. An author signing copies of their latest book at a convention can have a retractable banner of the book cover behind them. The spokesperson for a larger company can request to be interviewed with a prominent table top banner in shot, or even a step and repeat banner with the company’s logo behind them. I have volunteered before with charities who take a regular stall at a jumble sale, table top or car boot sale. As well as a good selection of products, they will also need distinct advertising to set themselves apart from all the other stalls. A vinyl or mesh banner for outdoor use or a foam board sign for indoor stalls is a great option in these circumstances. Permanent premises will need a different range of advertising print. Sidewalk signs or A-frames will direct customers to the correct location, while window graphics or window cling offer a chance to further enhance the brand while perhaps hiding the sight inside. This may encourage the curious to come in and see what’s on offer. Step and repeat branding is the type of advertising shown in those post-match interviews with footballers or soundbites from film stars on a red carpet somewhere. It features the logos of all the brands which have sponsored the event. This advertising could also be used for a group of companies, to make the connection between them. Posters have been used in the film world for decades as the way to tout a new release. Musicians and authors also use them as promotional devices in retail displays. Car magnets are an option for sole traders and small businesses where the budget will not stretch to a full graphics package. Canvases can show off a company logo or an abstract design, and look impressive hung on the wall of a reception area or board room. Even in this digital age, business cards are still popular. They may be a digital version attached to an email or a physical version, handed over with both hands after an introductory handshake, in the Japanese style of meishi koukan. This cements the giver’s position and also serves as a formal introduction to them and the company they represent. A businessperson who gets this tradition right does immense good to their standing and that of their firm. Another unusual way of advertising a brand is to have a textile representation. squar-pix, Inc. offer a tablecloth which features a large logo on the front. Of course there is also the time-honored way of advertising using a freebie mug or mouse mat. This approach, beloved of sales reps in all disciplines, is also popular with staff who quickly pounce on a free item and squirrel it away for their personal use. Sales promotion and brand awareness may seem like a minefield, but it can simply be a case of effective advertising placement. With a company such as squar-pix, Inc., choosing the right product to promote a product, or even an entire brand, is easy. Locations for Managing My Grief workshops. Grief is a powerful emotion. Whether you have lost a parent, loved one, friend, colleague or simply someone you looked up to, when that day happens, you will feel grief. Healthcare workers and military personnel are often offered courses similar to Managing My Grief, but many others, like me, had no clue what would happen and how we would feel. Trauma and distress can have a deep and lasting effect on anyone, and can manifest in many ways. Tiffani Dilworth’s courses aim to help us through the traumatic process of grief. Even if we don’t recognize it as such, humans feel grief many times throughout our lives. It’s not just losing someone either. Grief can follow leaving an abusive or bad relationship, leaving a stressful job, the breakup of a marriage, even retirement. Sometimes it’s passing; mourning someone we didn’t know so well, such as a celebrity or public figure. Sometimes it’s grief caused by missing someone. Maybe they passed away suddenly, or were a long time friend with whom we have lost touch. But sometimes, for all the preparation in the world, the loss is big and huge and enormous and all-encompassing, such as the death of a parent, spouse or child. We find ourselves adrift, bereft, heartbroken and struggling to cope with even the simplest things. Even those closest to us don’t know what to say, how to react. 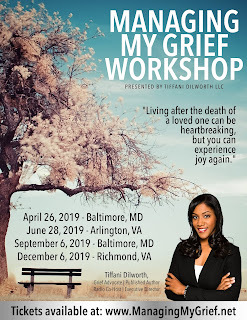 The next Managing My Grief workshops are in Baltimore, MD in April and September; Arlington, VA in June; and Richmond, VA in December. My advice is that you should attend, because, like I did, you will find out that you are not alone. Even if your coworkers, friends and family are struggling to understand, in these workshops you will find others in a similar position. As I did with my group, together you will learn how to understand your grief triggers and how to guide yourself to a safe place when you need to regain stability. One of my longest standing friends is a former nurse, who moved into the funeral arrangement business after leaving nursing. She often says that grief takes many forms, and mourning is both complicated and very individual. She knows how to help her families through that process, and the Managing My Grief course aims likewise to help those who grieve to help themselves understand, manage and navigate the process too. This is not to say you shouldn’t grieve - you should, it’s a natural reaction - but managing the depths and avoiding an unhealthy mental and emotional state is key. These groups are support groups as much as anything else, like-minded souls who find strength together. One of my group rings me every few weeks, because talking is his way of coping. A fellow cat lover shares daily cat photos on social media with motivational and positive thoughts. Another regularly posts photos of our favorite musician, captioned with his name and the words 'Good Morning'. This reminds her that she has another day to listen to his music, to continue the healing process. We are not stuck in our grieving process any more; we are moving onward. My final piece of advice is to stick with the course. 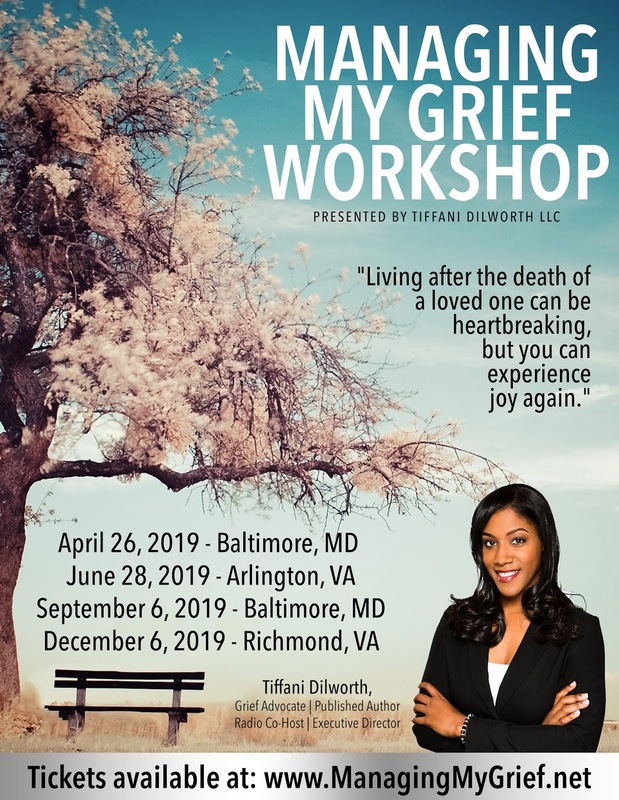 It may be hard, emotional or draining, but you will get the best out of a Managing My Grief workshop by hearing Tiffani out. She has some good ideas, so you owe it to yourself to hear them. Offical wordnerd. Tea lover, wine drinker, cat herder, techy geek & certified arctophile (especially polar bears). Enjoying researching blog/article topics and writing reviews for social media circulation. Sharing teabags with whoever wants some and decluttering the house while I'm at it. All Written Rights Reserved unless otherwise agreed. P Thomas. 2013-2015. Scrapers will be reported. Awesome Inc. theme. Theme images by imacon. Powered by Blogger.